If you aren’t sure what to wear with leggings but would really like to wear one, you can never go wrong with going with classic black leggings. Whether or not you like leggings, whether you think these can be called pants, we’re sure you own a pair. Black leggings, like black pants, are versatile that you can wear them with just about anything. Wear your leggings as pants. Leggings can seriously turn your everyday outfits into major style statements like sporting preppy outfits or vintage outfits with these comfy bottoms. Balance your feminine and masculine sides by opting for a soft, girly blouse as your top while adding a rough, edgy piece like a denim jacket. Take your go-to exercise leggings outside the gym by finishing the look off with cutout boots or high heels. We’ve seen so many celebrities wearing their leggings with cami tops and ankle boots. It easily gives out a chill and athleisure vibe especially when you pair it with sneakers. Leather boots are fine as well. There’s no way an all-black ensemble can’t look effortlessly stylish. With your velvet black leggings, choose the comfiest shirt you own then wear it with chunky heeled sandals. Since you’re going for a simple but edgy look, finish your outfit with one statement accessory. For this look, a floppy hat. 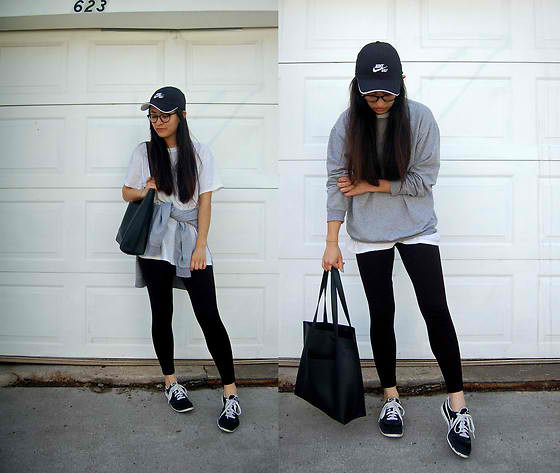 Probably one of the coziest outfits there, top your leggings and shirt look with a sweater then finish it off with sneakers and a baseball hat. This is a go-to look by many celebrities. If you feel like your getup for the day is too plain, you can add a statement outerwear to keep your outfit cool without looking like you’re trying too hard. Leggings can be worn when going to night outs as well, just make sure you pick the right pieces. To don leggings without looking sporty, complete your look with high heels. For the laziest of all lazy days, continue to look fashionable while staying warm by layering a shirt dress with your sweater and a massive wool scarf. Another night out outfit you can wear with your black leather leggings. A plain tee, your favorite trench coat and high heels. Aside from layering your black leggings under your skirt, you can also wear it with one of your favorite dress. Finish off your look with ballet flats, sneakers or mules, depending what would look good with the dress. For work, make sure your collared button-up shirt has a longer length since it’s not appropriate to flaunt your junk at the office. If wearing plain white top, incorporate bold-colored pieces that are statement-making but not in a flashy, obnoxious manner like a burgundy-colored bag with burgundy high heels. Have a poncho and not sure what to wear with it? Go with black leggings. 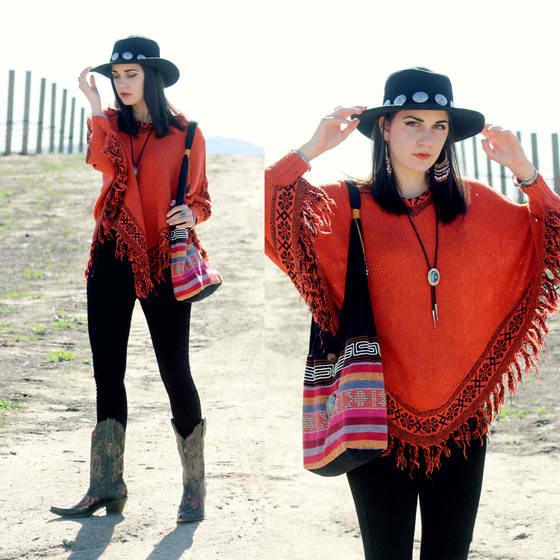 Whatever color of poncho you own, you’ll certainly look stylish and trendy especially when you pair it with boots or pumps. A multicolored scarf has so many tricks up its sleeve. One is that it can make a plain outfit look more put together. With black leggings and a plain shirt, add in one of your favorite scarves. Wear black leggings to look stylish, young and hip with these effortless-looking ensembles using pieces you already own.